New Delhi : It is now 100 years since Mahatma Gandhi mobilized the indigo cultivators of Bihar’s Champaran district. This was his first mass political protest after his return from South Africa. It is also 50 years since the peasants of Naxalbari in West Bengal began their violent uprising against landlords. The Chinese Communist Party said at the time: “A peal of spring thunder has crashed over the land of India”. There is at one level little in common between these two anniversaries. The Champaran agitation was a peaceful protest against the policies of the colonial state. The Naxalbari uprising was an attempt at a violent Communist attack on the constitutional state. What is important is that both these historic events were based on the grievances of Indian peasants. Their distress was the root cause of important flash points in Indian history. Modern Indian history has been marked by several peasant revolts that were based on underlying economic fault lines. The Deccan riots in the mid-19th century were perhaps the first challenge to colonial rule since 1857. It is useful to remember that at least two of the major political movements launched by Gandhi were timed with a massive deflation in the prices of agricultural commodities—after World War I, and then during the Great Depression. Naxalbari also took place when Indian agriculture had been hit by two successive droughts. It is worth asking why India has not seen similar episodes in the past few decades despite persistent cycles of farmer distress. There are two possible interlocking reasons. First, Indian agriculture has moved on from feudalism. The tight hold that landlords had over peasants has eased thanks not just to the rise of capitalism in farming but also the possibilities of getting non-farm jobs in the rural areas on the one hand, and migration to cities on the other. Second, the Indian state has, since the Green Revolution, taken at least some of the risk out of agriculture by providing farm inputs at subsidized costs as well as providing guaranteed prices for certain types of farm produce. 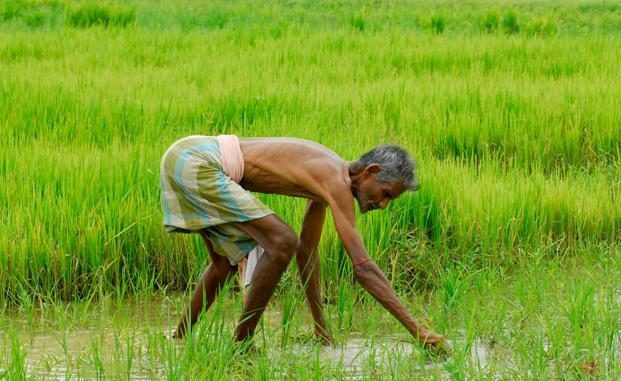 The growing importance of agricultural subsidies in Indian budgets can at least partially be understood as a reflection of the growing clout of that part of the peasantry that was enriched by the Green Revolution. The major farmer or peasant protests since the 1980s have thus been focused on getting more benefits from the government rather than making any fundamental changes in the way agriculture is organized. Think of either someone like Charan Singh, who worked through the party system, or Mahendra Singh Tikait, who led his protests as a political outsider. The focus of their politics was inevitably to lower input prices or higher support prices. The second alternative is to free Indian agriculture from price controls, restrictions on movement of farm produce, commercial risks due to volatile prices, and the lack of access to global markets. Farm leader Sharad Joshi used to argue that the solution to farm distress lay in dismantling the system of state controls that were in effect a massive tax on farming. Joshi was convinced that what the Indian farmer needed was a free market rather than state handouts. Farmers are trapped in a new cycle of distress at a time when the fiscal capacity of the government is weak. The anniversaries of the Champaran agitation led by Gandhi and the Naxalbari uprising led by the Maoists thus provide a good opportunity to refocus on the structural challenges in Indian agriculture. Indian history tells us that anger in the Indian countryside can have very profound political consequences.